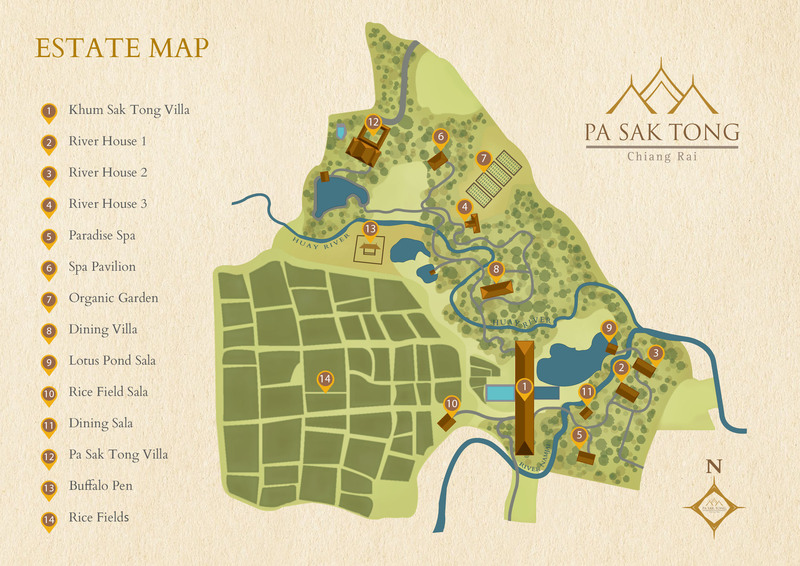 Whether you’re making memories as a couple or a family, the entire Pa Sak Tong villa is yours. Book a romantic escape for two or bring the entire family (for up to ten) knowing that you’ll get the utmost in privacy and exclusive service. For large families or small groups, combine Pa Sak Tong Villa and the Khum Sak Tong Villas for exclusive access to the estate’s 29 stunning acres. We’ll create a custom dream trip for your family in Chiang Rai, Thailand.